Home » Cover Features, Who's Hot! Something for Tomorrow delivers progressive hard rock with enough hooks to fill a bait shop. These guys write songs that are powerful and catchy that will get stuck in your head for some time. 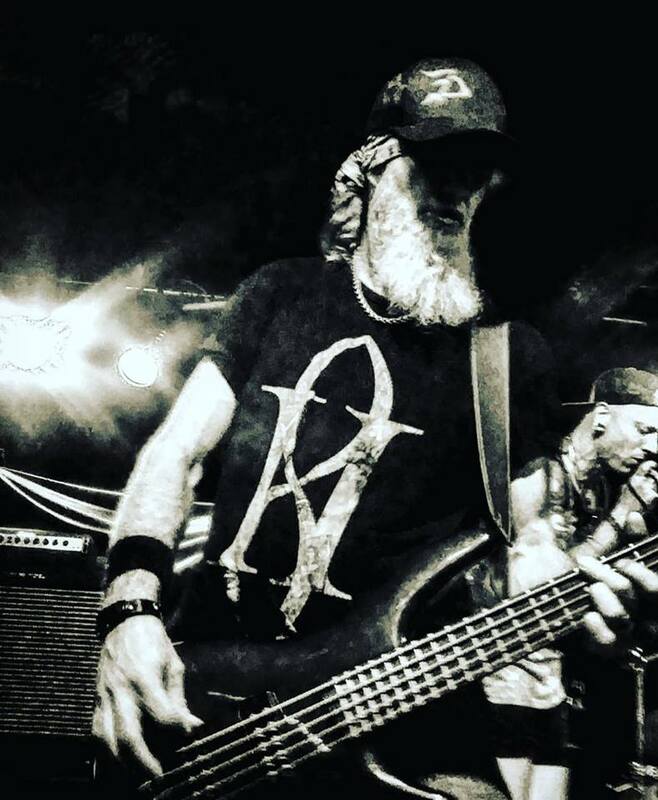 Here is our interview with Something for Tomorrow bassist Rodney Tidwell. Okay let’s cover some basics. The name Something for Tomorrow can either be construed as hopeful, vengeful or maybe you’re just a big fan of investments. What’s the meaning behind the name? And how did you come up with it? Something for tomorrow is supposed to inspire hope; a view for a new day; a way of saying that there is going to be a tomorrow to look forward to because we have something for it. It’s also a reminder to us that it is always about the song we are going to write, not just the songs we have now, no matter how good or bad we think they are. Guitarist Jason Lycan’s brother, Ian, came up with it. We put it with four other name choices and we all asked people what they thought; SFT got the best response. Describe your sound? Did it occur naturally or was it carefully constructed? Our sound comes from Jason’s arsenal of riffs that come together with sounds that compliment where the song is going to go. We strive to become a team in this process; the better we can write together, the better the song will become. How has the band evolved it’s sound since its inception? Where do you see your sound heading in the future? We have gone through many changes since we began. We are always looking at what is best for the band’s progress. Lyrically what messages are you trying to get across to the listener? Does the band have an overall agenda or motto? We feed off the energy of inspiration. This is something we feel we need to do to maintain the integrity of the songs we put out there. People can always tell if your not genuine. No agenda; life has no agenda so we can only speak on what we are feeling at the time. I think that it helps in remaining authentic. What are some of SFT’s major influences? How do you absorb an influence into your music without it crossing the line into copying that artist? We are all influenced by different artists. Whether or not we agree, we respect the others’ choices. It helps the music flow sometimes, and gives us something to consider on others. We don’t think too much on the absorption factor. It is what it is. How do you push each other to keep refining your craft and advancing each others skill levels in recording and performance? Carefully and respectfully. Everyone has inspiration hit them at different times. We try to fan each others’ flame when it ignites. Speaking of recording what are you working on next and how far along are you in that process? And who are/will you be working with in that regard? We are in pre-production with Ahrue Luster (Machine Head, Ill Nino, Terror Universal) and we look forward to recording with him soon. Your single “Save Yourselves” has a stop motion video to go with it. What’s the song all about and why did you choose stop motion? Will you be using stop motion for future videos or was it a one off? We would welcome another video like “Save Yourselves.” However, it had its time, place, and energy for now. We don’t want to pigeonhole ourselves. So we shall see. What the band’s plan and goals for the next 18 months? The next 18 months will be a building time for us, in every aspect. Not that it will take that long, but I’m looking forward to the songs we will write. What else would you like everyone to know about Something for Tomorrow? We want everyone to love and feel good!!!! Life is too short for anything else!!! That is all.